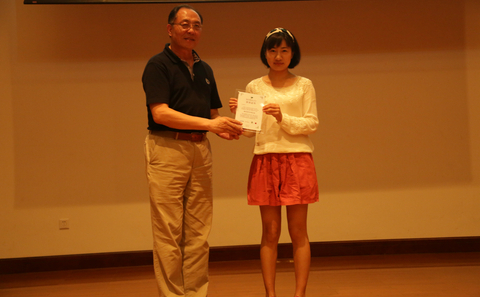 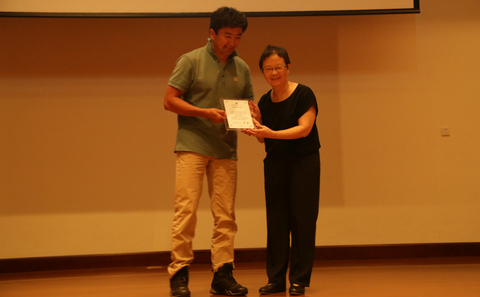 Tu Chonghang, winner of the prize for 'Best Investigation', presented by Yuen Ying Chan, director of the Journalism and Media Studies Centre at Hong Kong University. 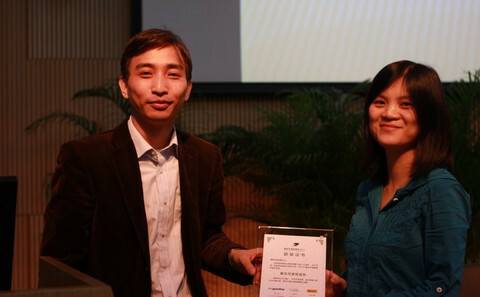 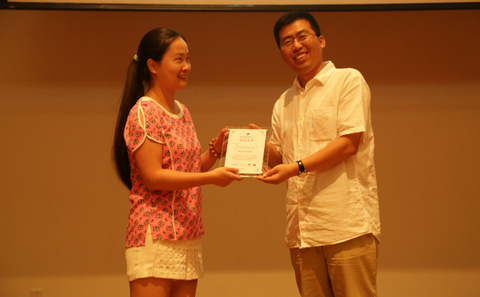 Chen Jie, winner of the prize for 'Journalist of the Year', presented by Yuen Ying Chan, director of the Journalism and Media Studies Centre at Hong Kong University. 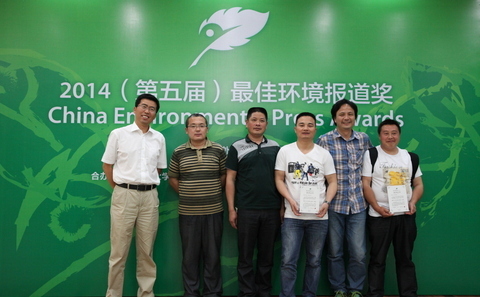 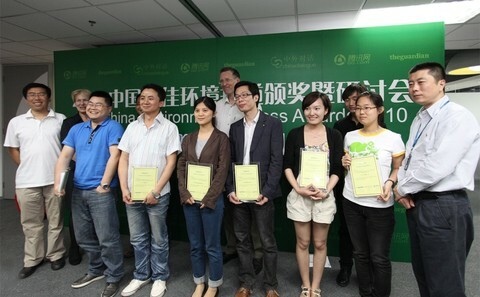 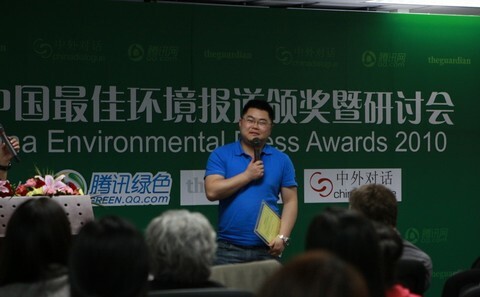 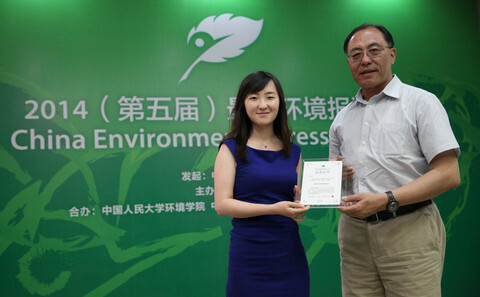 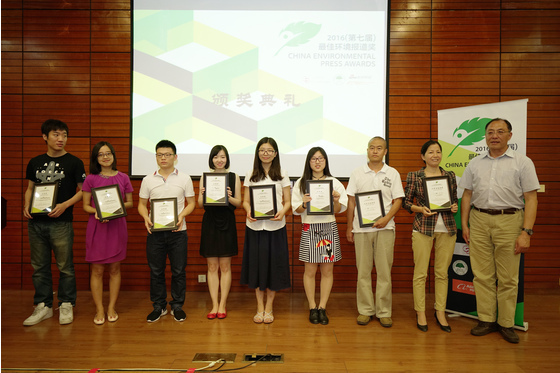 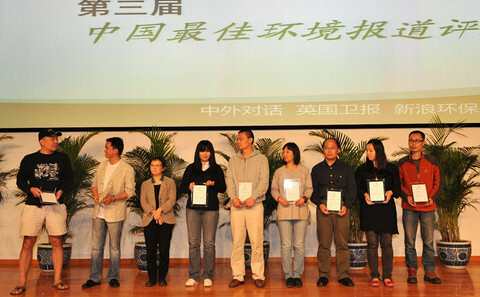 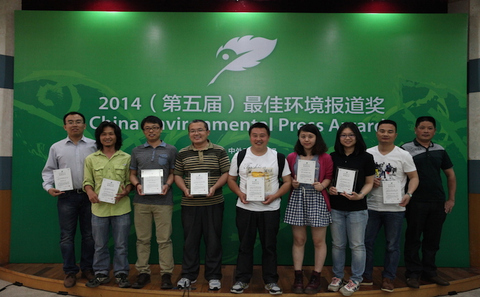 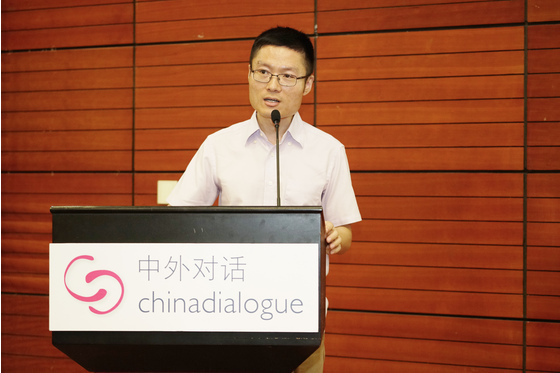 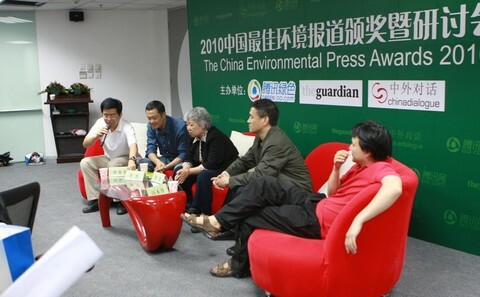 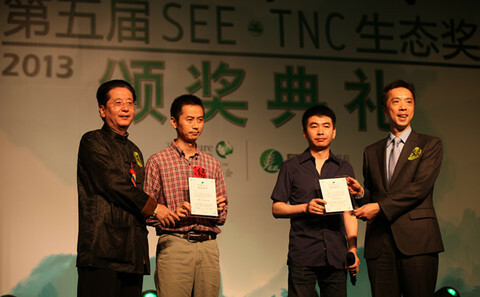 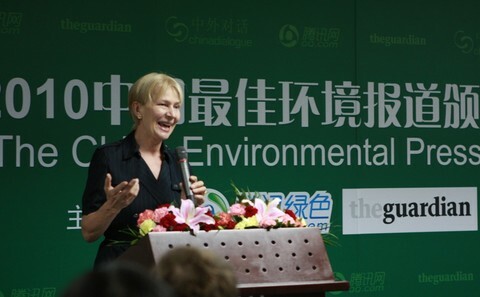 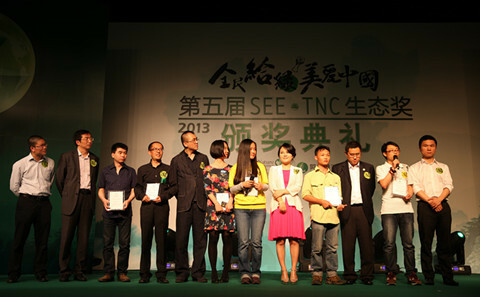 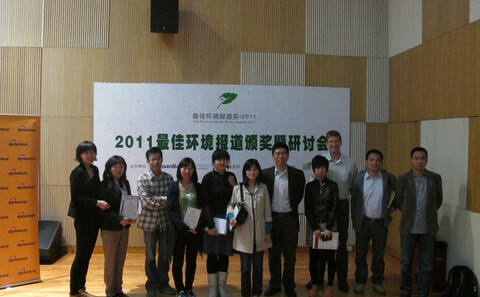 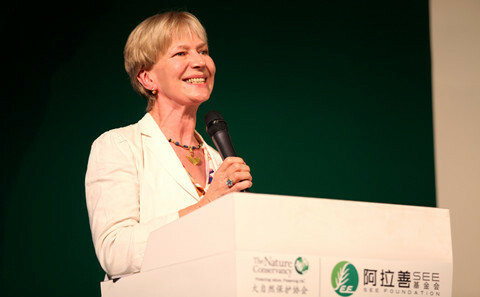 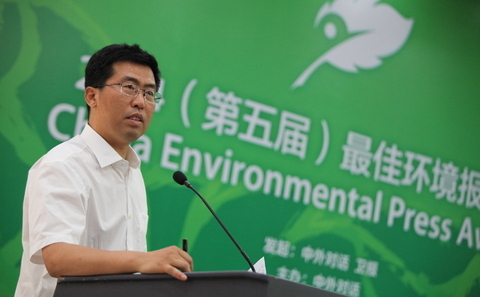 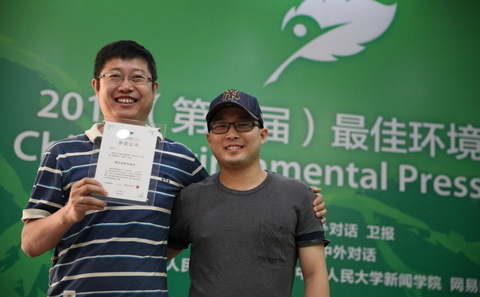 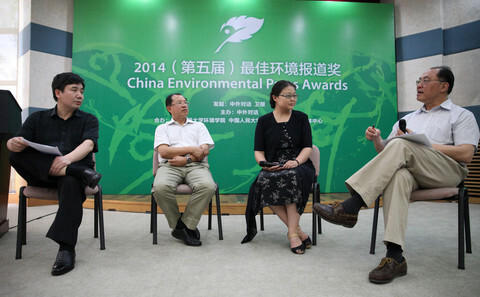 "Environmental problems are not for the government to solve single handed, it requires people's participation," said chinadialogue's editor Isabel Hilton in a speech at the awards ceremony. 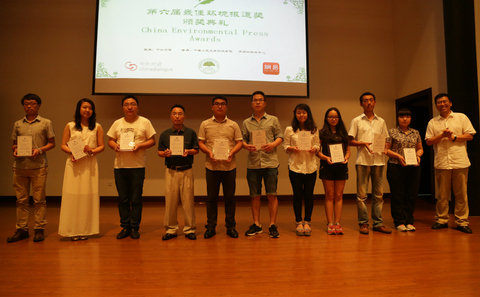 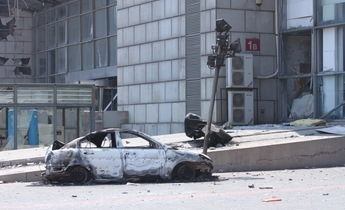 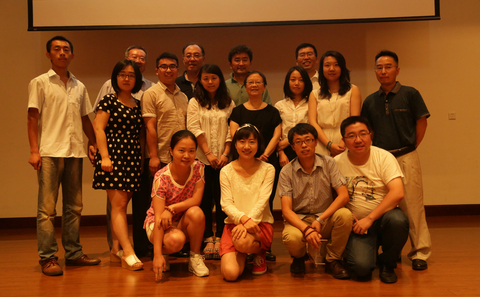 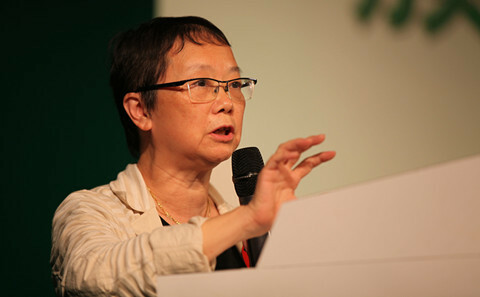 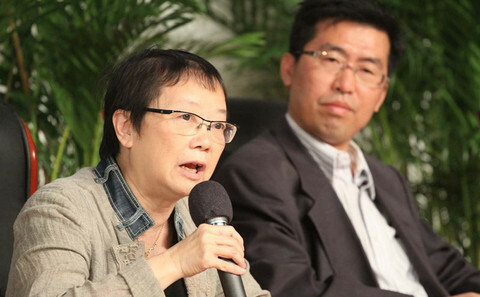 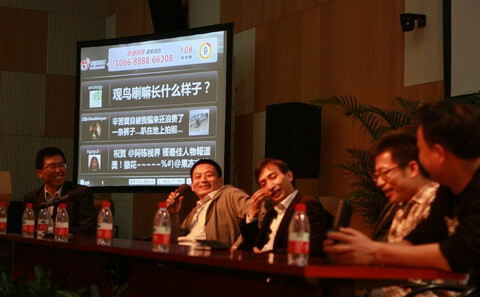 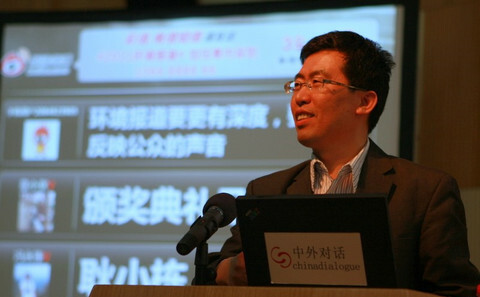 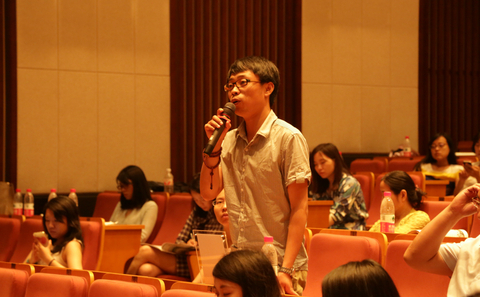 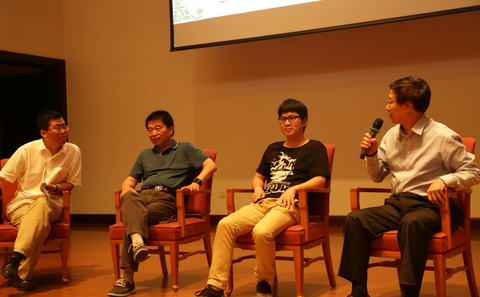 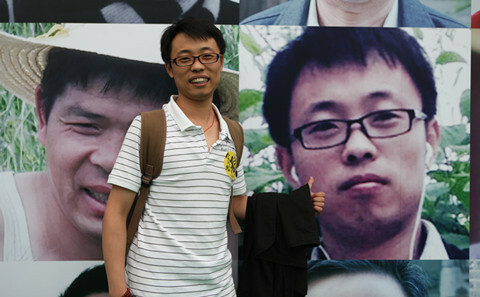 Yuen Ying Chan, Professor at Hong Kong University's School of Journalism, told the awards ceremony that "It's not easy to do news in China, and so journalists are particularly important, whether they are professional, amateurs or citizens." 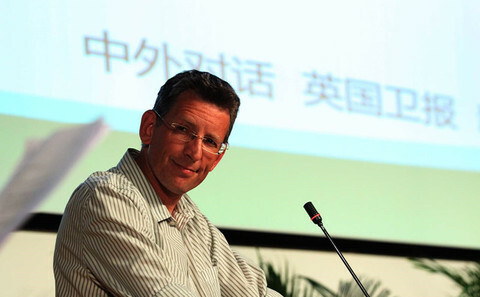 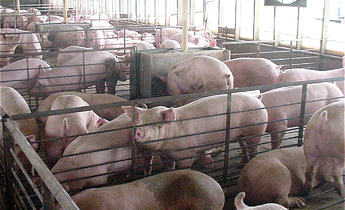 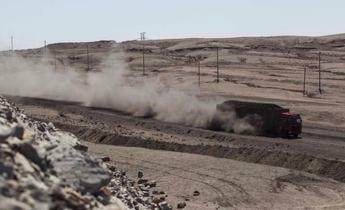 “The environment itself is no longer a topic of news, but a prism through which we view the world,” said Jonathan Watts, the Guardian's Asia environment correspondent. 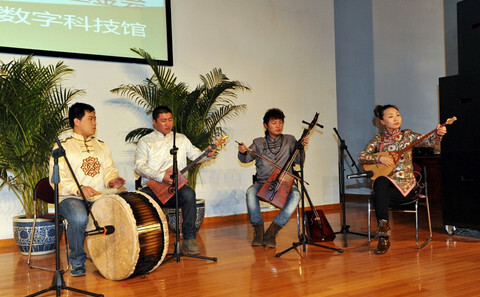 Inner Mongolian group Zuul perform at the awards ceremony. 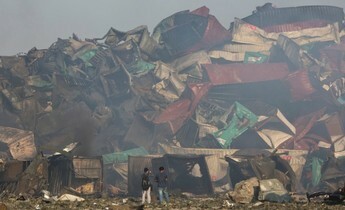 Zuul is a Mongolian word meaning “constantly burning lamp”.